Nicholas Kariuki Githuku holds a Ph.D. degree (August 2014) from West Virginia University in African history with a focus on Eastern Africa in general, and contemporary political history in Kenya in particular; a professional certificate in the field of development studies and peace and conflict resolution sponsored by the Rotary Foundation of Rotary International and Chulalongkorn University, Bangkok-Thailand (2008); a Master of Arts in Armed Conflict and Peace Studies from University of Nairobi (2004); and a Bachelor of Arts (First Class Honors) Degree in History and Political Science & Public Administration from the University of Nairobi (2001). Dr. Githuku was the 2013-14 recipient of the Robert and Wynona Wilkins Scholarship, the 2012-13 British Institute in Eastern Africa Research Grant, the 2012-13 Rebecca D. and Henry E. Thornburg Doctoral award and the 2011 WVU Chancellor’s Scholars Fellowship award. He is a Sasakawa Young Leaders Fellowship Fund (SYLFF) fellow having received the prestigious Nippon Foundation fellowship to pursue Master’s studies at the University of Nairobi. He is also a Rotary International World Peace Fellow, and an expert in conflict resolution and security issues especially post-conflict reconstruction (security sector reforms) and state-building. His research interests include: the generic African state; human rights and development issues in Sub-Saharan Africa; counterterrorism & security issues in Africa and beyond; democratic governance; structural conflict and war; negotiation and mediation; peace-keeping & peace-building; postwar reconstruction and state-building; structural peace & justice; politics and political trends in the Great Lakes and the Horn regions of Africa; memory and memorialization of war; electioneering and elections; postcolonial/contemporary Kenyan politics; post-1989 Eastern Europe (Balkans) history; the First and Second World Wars; and European history (1648 to present). Githuku completed his Ph.D. dissertation (April 2014) that was inspired by the Post-Election Violence in Kenya in 2007/8. This research was built on a conflict analysis report that he wrote as part of the International Rotary Peace & Conflict Studies Program at Chulalongkorn, “What Ails Kenya?” back in 2008. His study, Mau Mau Crucible of War: Statehood, National Identity and Politics in Postcolonial Kenya, has been described by acclaimed experts as an important and impressive study of the social and cultural history of the mentalité of struggle in Kenya, which reached a high water mark during the Mau Mau war of the 1950s, but which continues to resonate in Kenya today in the ongoing demand for a decent standard of living and social justice for all. Mau Mau Crucible of War is currently under contract with Lexington Books and is expected to be published as a monograph by August 2015. 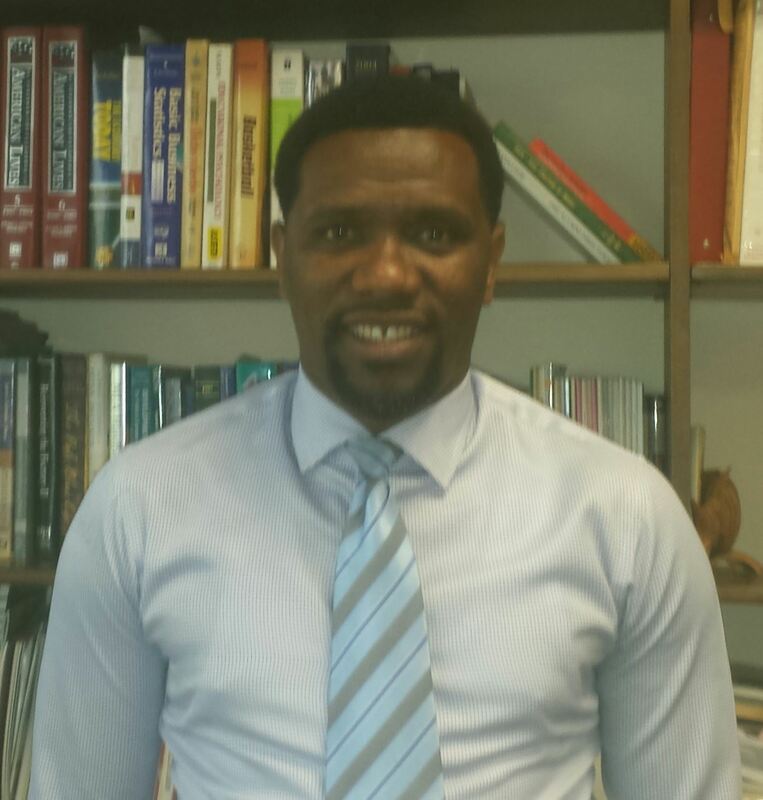 In fall 2014, Dr. Githuku joined the Department of History and Philosophy at York College, CUNY where he is currently serving as an assistant professor of African history . The Law Society of Kenya sought to be allowed to appear in the Akiwumi Commission to call evidence and examine witnesses. Advocate Mbuthi Gathinji, on behalf of the LSK, made the application yesterday and said the society carried out some investigations on the tribal clashes and had information that could assist the commission. The chairman, Mr Justice Akilano Molade Akiwumi, said the commission would make a ruling this morning. Before the application, a first year Bachelor of Arts student at the University of Nairobi, Mr Nicholas Kariuki Githuku, gave evidence. Mr Githuku said his evidence was based on what he had read in books and newspapers for his continuous assessment examinations. Quoting several writers, he said the main causes of tribalism were identity and unity among different tribes. The other causes, he said, were the effects of colonisation in Kenya during which the British used administrative boundaries to create divisions between the communities. He also accused politicians of perpetrating tribalism for their own benefit on the basis of parties. He said anybody who perpetrates tribalism or says anything with tribal overtones should be charged. He recommended that any economic policy be for the benefit of all Kenyans and not a small community. The witness said Kenya was not ready for the multi-party political system. A sociologist, formerly a social demographer with the Ministry of Education, Mr Samuel Wachira, said his evidence was academic. He said he did not put much weight on multi-partyism being the cause of the clashes. Advance military technology is only used by the Government, he said, and “agents other than the State used violence on Kenyans, an indication that the State has more than one agent competing for legitimacy and the Head of State should tell Kenyans how these powers were ceded”. He said it appeared there were two groups of Kenyans – one endowed with resources and access to basic needs and the other living in abject poverty and deprived everything. He said Kenya maintains great disparities in the strategic needs because “you have some parts of the country with 86 per cent literacy level and other parts with only 10 per cent. He suggested that the police department be left to work on security and the provincial administration to coordinate the affairs of State at district level.